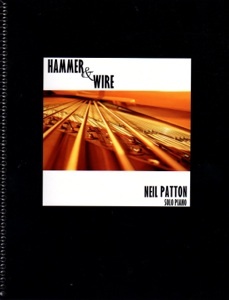 Hammer & Wire sheet music book is the companion book to Neil Patton’s 2012 recording by the same name. One of my favorite albums for that year, I’ve really been looking forward to the sheet music! Patton did most of the twelve transcriptions himself, with the amazingly accurate Rebecca Oswald helping out. 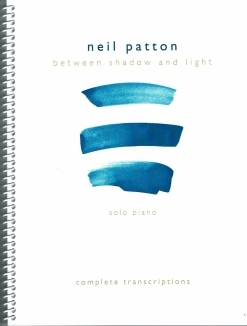 The transcriptions are note-for-note as Neil recorded them, so expect a challenge in playing these pieces yourself since Neil is an extraordinary pianist. He ranked all of the pieces by difficulty and the opening pages of the book give comparable pieces for each level. I will refer to Neil’s rankings below. The introductory pages also include four pages of notes about the inspiration for each piece and some tips for playing them - a wonderful bonus that I don’t see too often. It must be the caring teacher in Neil Patton! On a more basic level, the book is spiral-bound and printed on crisp bright-white paper. Spacing is beautiful and the music is very easy to read. There are a few reaches of more than an octave, but not many. “Country Road, Summer Rain” has a section with three staves, but playing that section isn’t too difficult to execute. Expression, pedal suggestions, and metronome settings are also included. It’s a exciting book, but not one many will be able to just pick up and play from cover to cover. Pianists at an early-advanced to advanced playing level will find much to love and enjoy in Hammer & Wire. 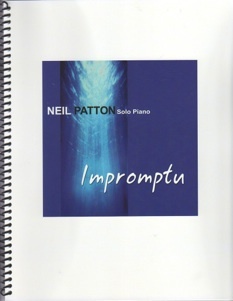 It is available from www.NeilPatton.net. Recommended!! !